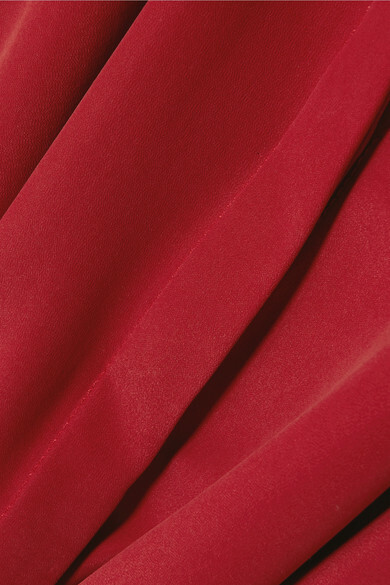 For Joseph's Resort '19 collection, Susana Clayton has chosen to focus on how clothes feel. 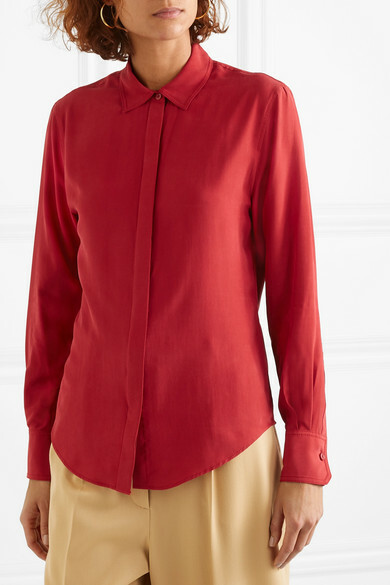 This crimson 'Edith' shirt is made from washed-silk that's incredibly soft to the touch. 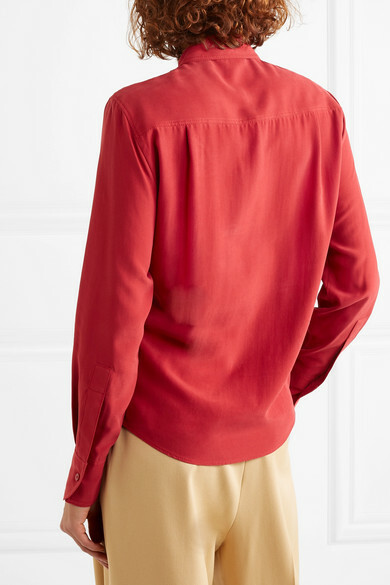 It's cut for a slightly loose fit and has a classic curved hem. Underpin yours with a plain turtleneck for smart layering. 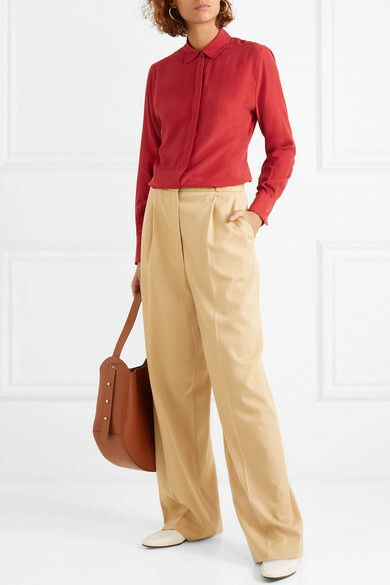 Shown here with: The Row Pants, Wandler Tote, The Row Loafers, Chan Luu Earrings.